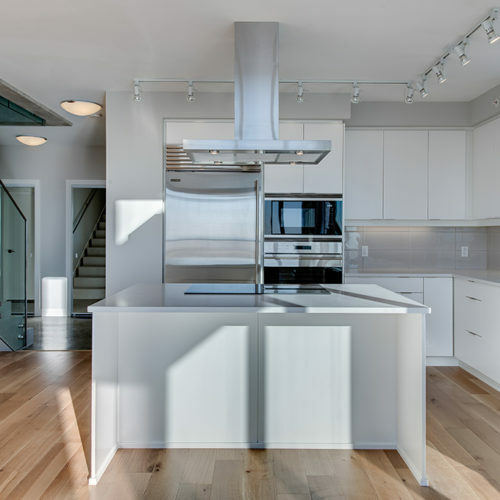 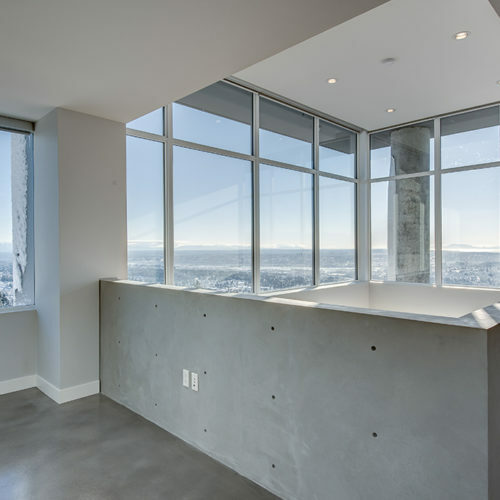 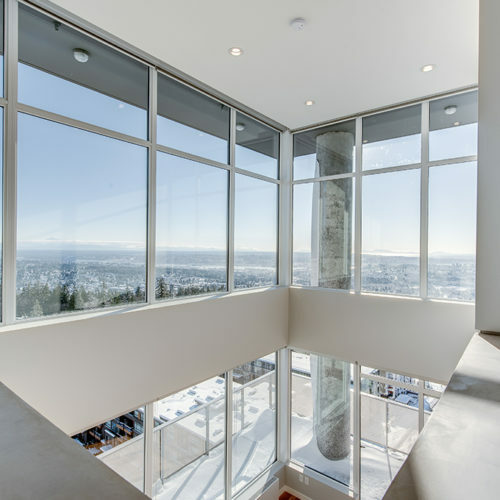 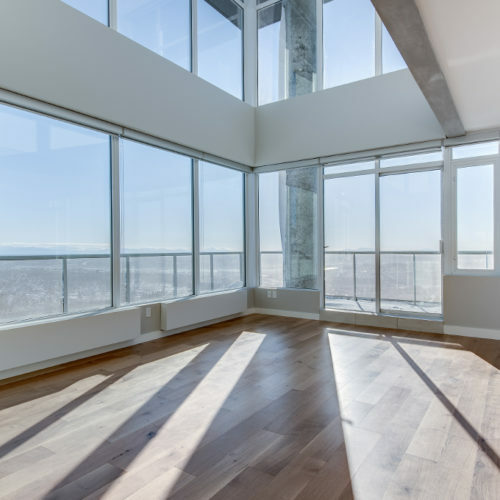 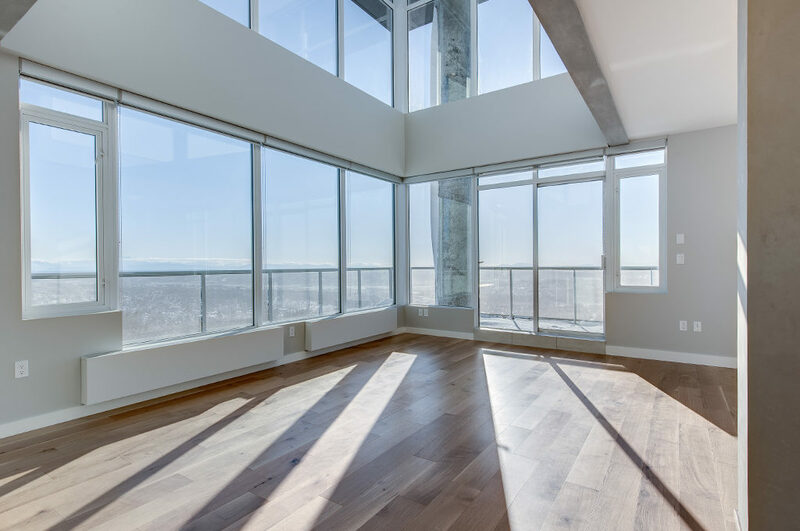 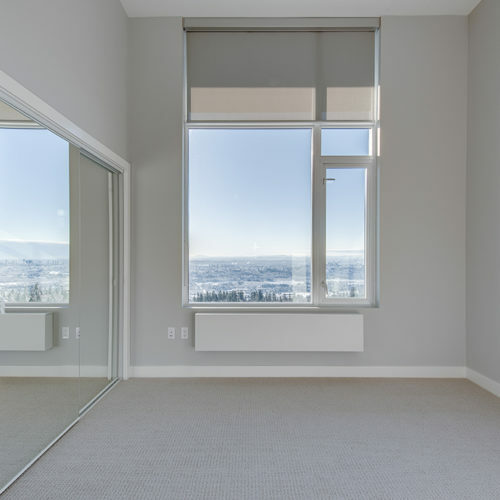 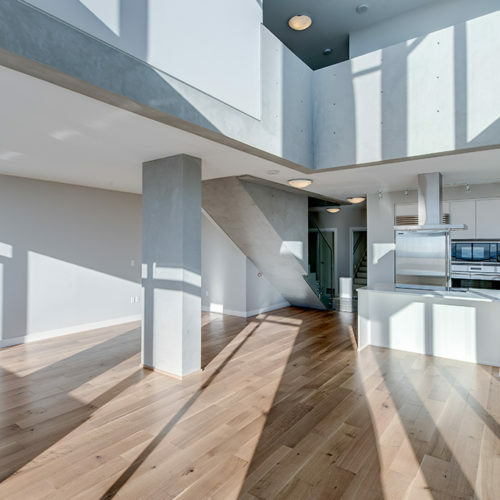 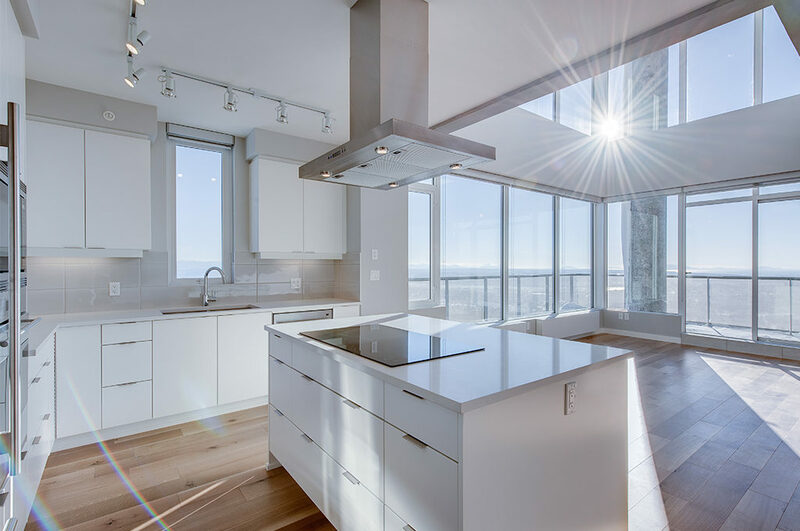 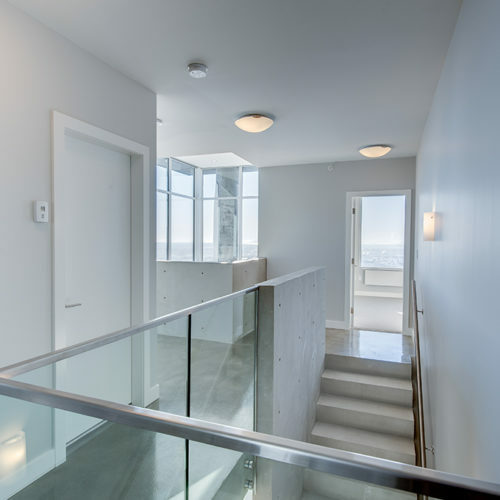 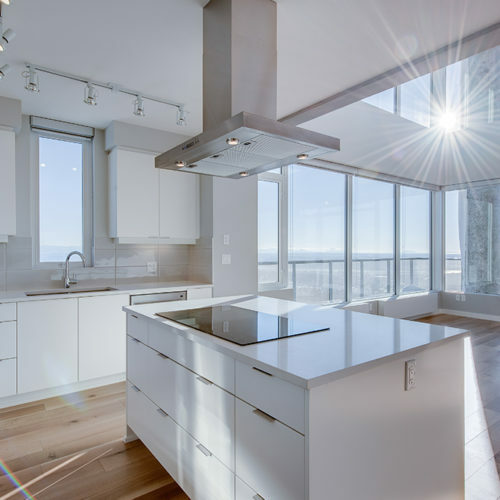 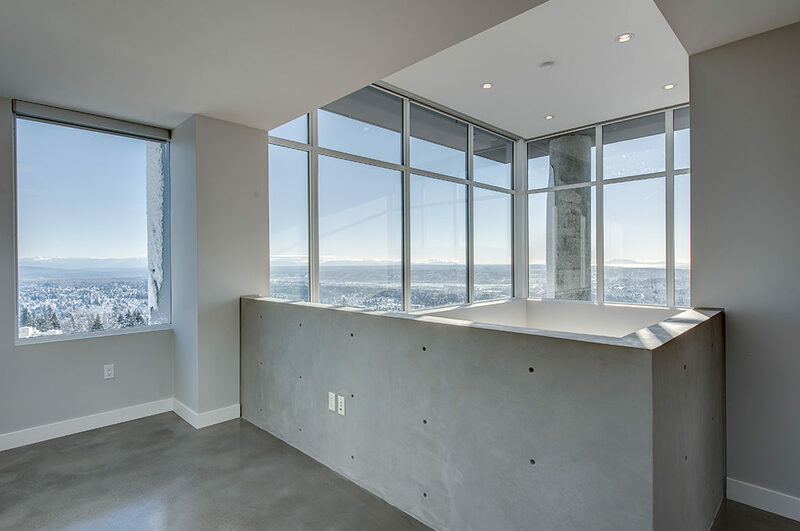 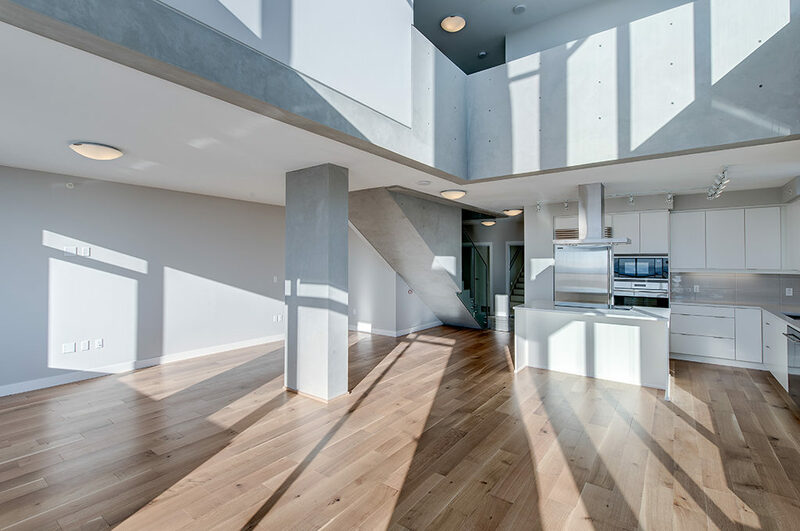 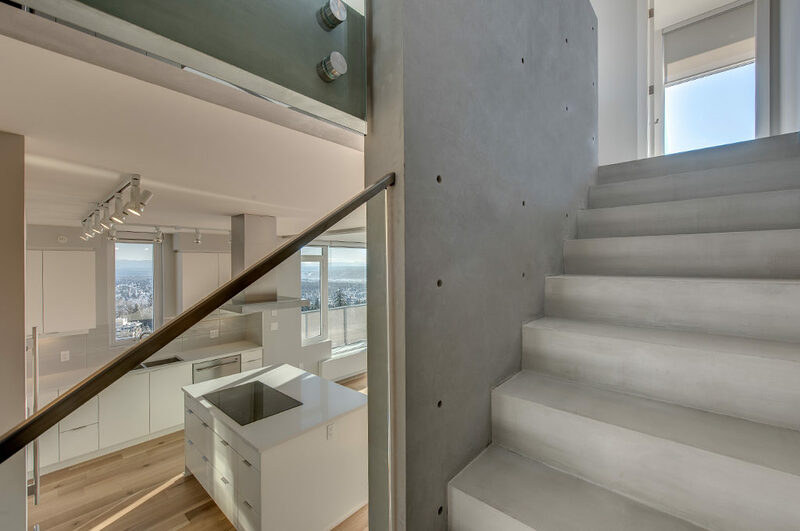 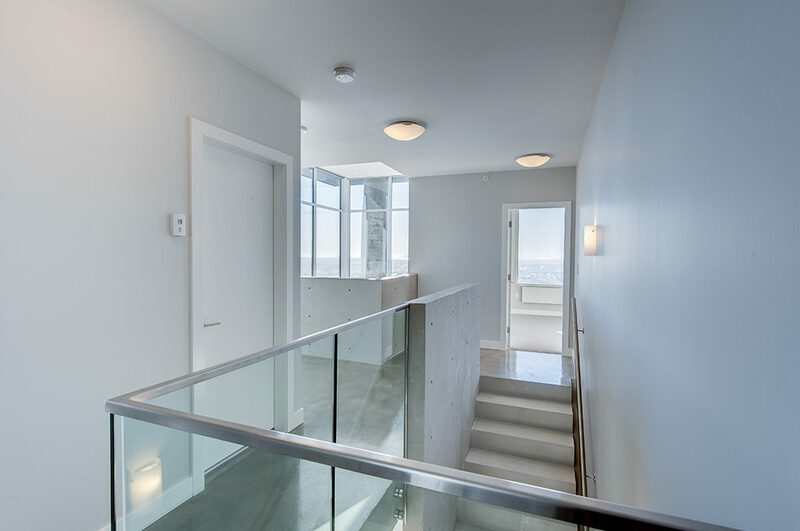 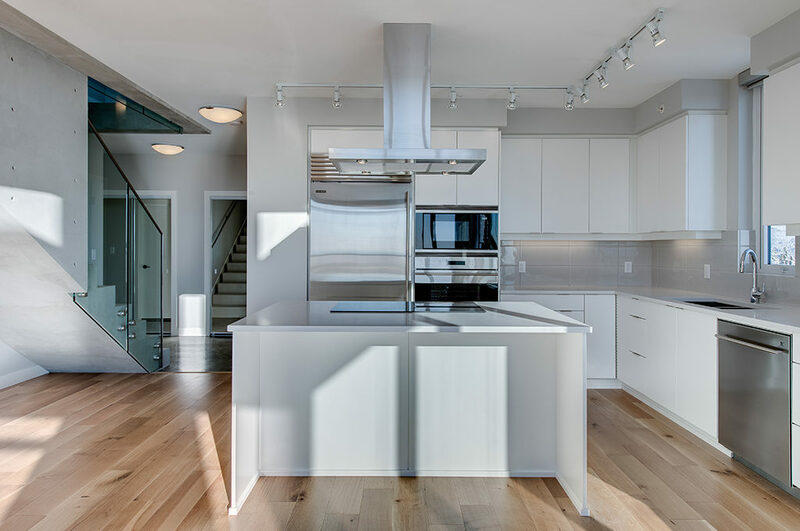 This unique penthouse unit at CentreBlock provided an exciting opportunity for Liberty to express its interior design and finishing capabilities. 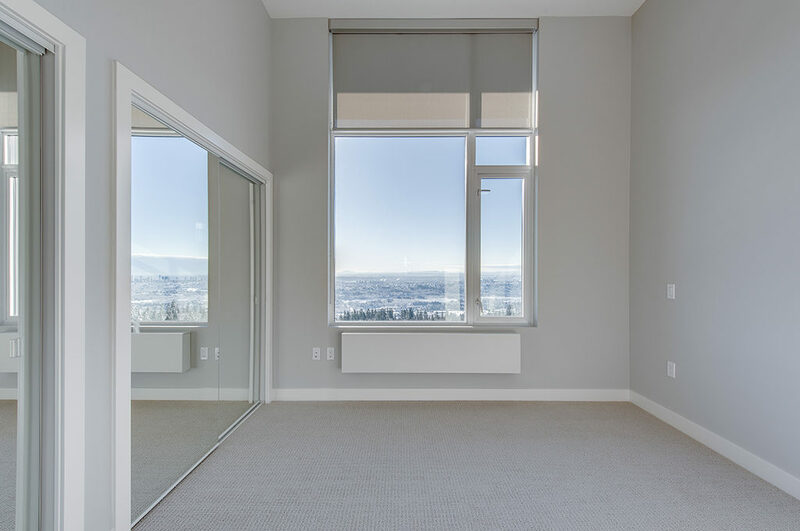 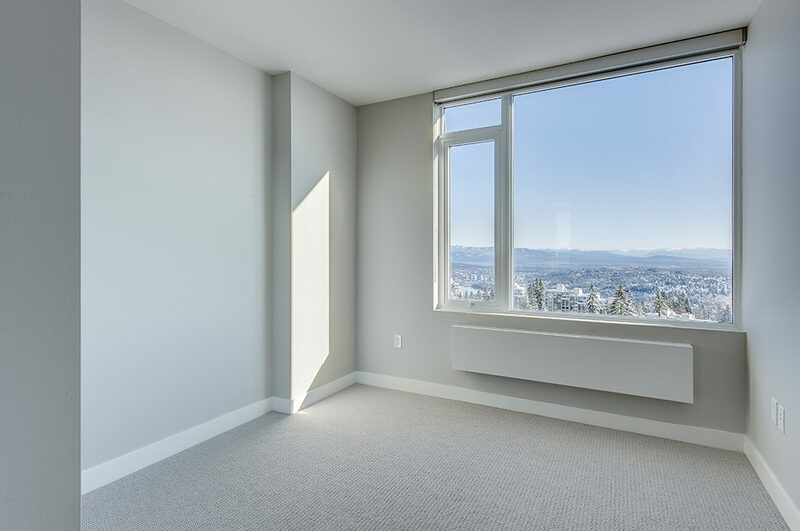 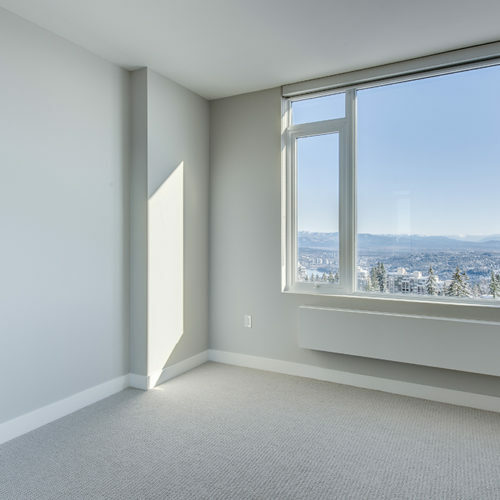 The suite spans 1,850 square feet over two floors with three bedrooms and three baths. 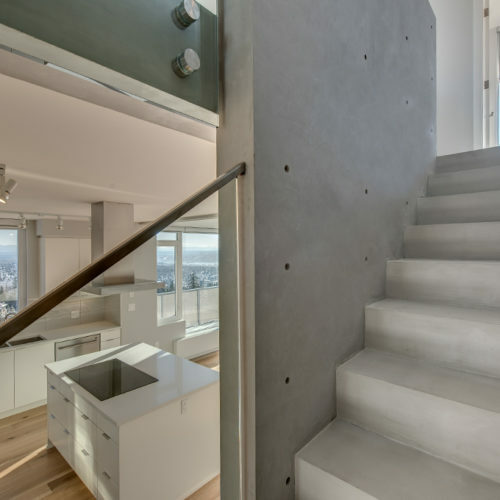 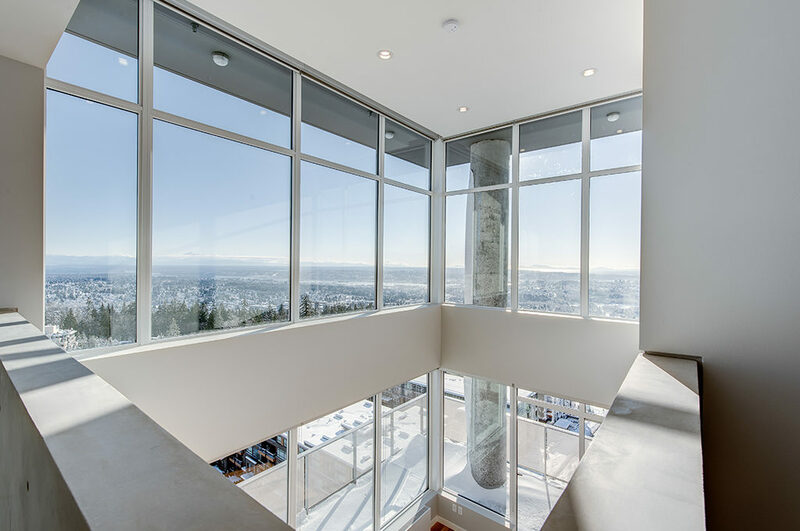 While the living area is based on an open concept plan, the unit incorporates architectural elements in exposed concrete and changes in volume to break down and define individual spaces for living, dining and working. 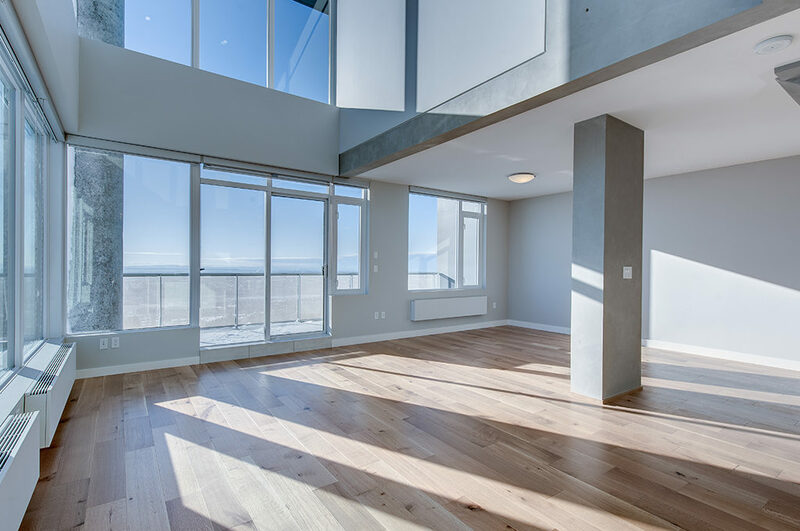 Exterior spaces include a full wrap around balcony on the main level and a private rooftop terrace accessible from the second floor. 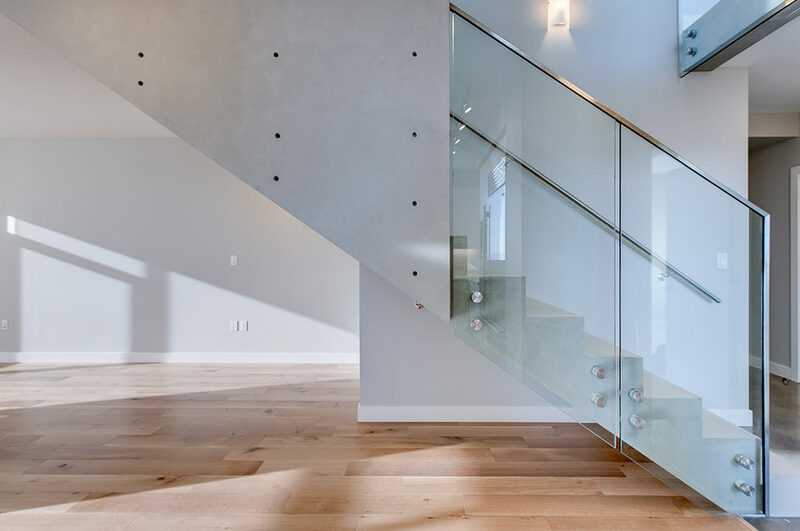 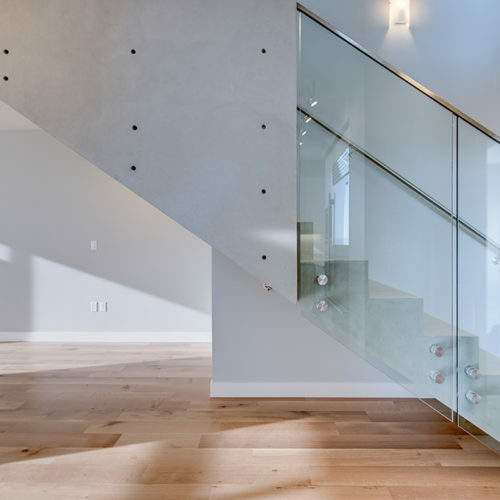 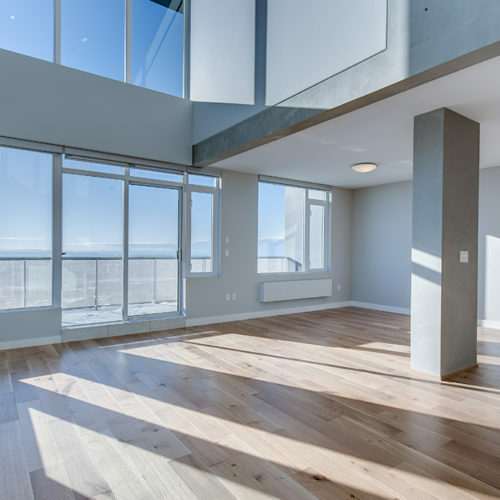 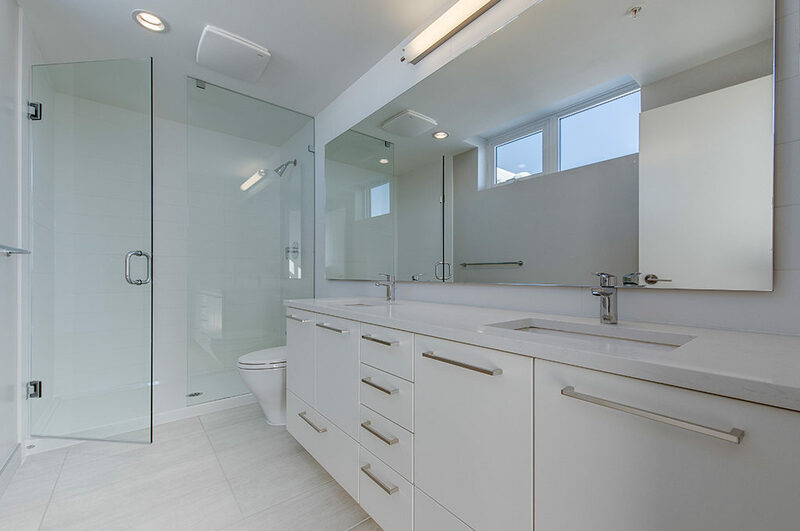 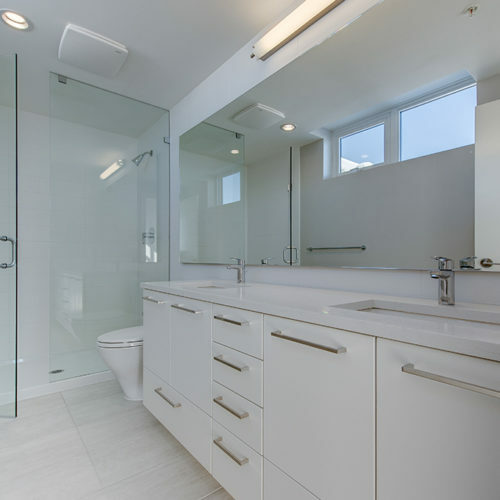 Finishing includes contrasting warm and cool elements with wide-plank engineered hardwood flooring in a light, natural wood grain set against smooth exposed vertical concrete elements and high-gloss polished concrete floors. 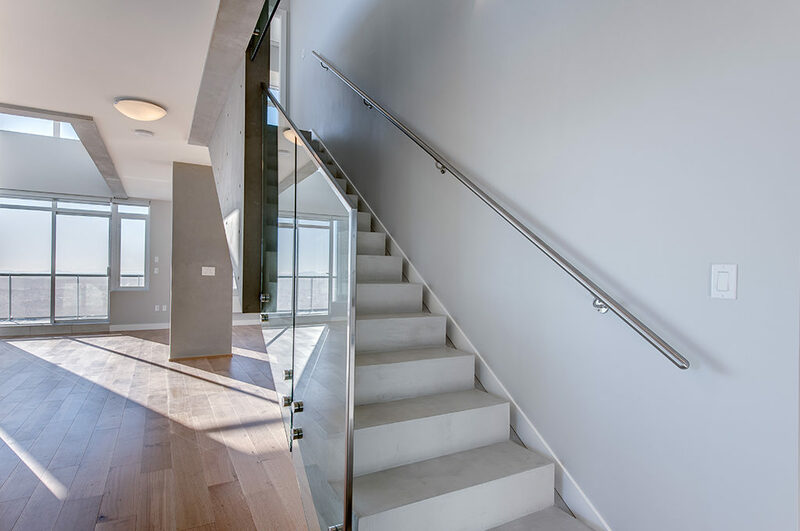 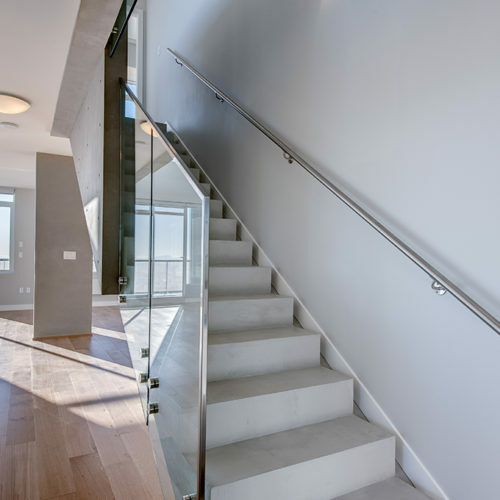 Frameless glass railings on stainless steel standoffs complete the modern look.